Six years ago, Emory adopted a tobacco-free policy, significantly reducing tobacco use across campus. The university offers multiple resources, from webinars and counseling to free medications, for employees who want help quitting. Six years ago, Emory adopted a tobacco-free policy, significantly reducing tobacco use across campus. 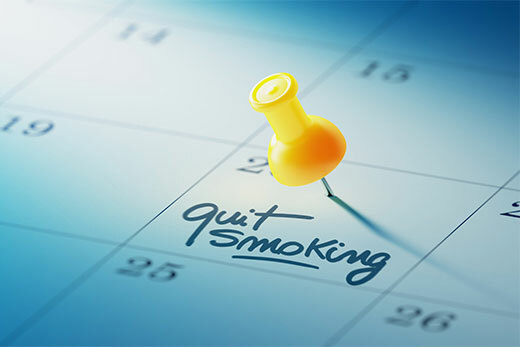 Around that same time, Pat Woodard, a business manager in the School of Medicine, also decided to give up smoking for good. Woodard says her inspiration for quitting was a promise she made to her daughter, who had just been diagnosed with ovarian cancer. “I promised her if she would have her chemotherapy treatments in Atlanta as opposed to Albany, where she was attending college, then I would quit smoking,” she says. Emory became a tobacco-free campus in 2012 to support the health and wellbeing of faculty, staff, students and patients. 1. Make a specific plan to quit — preparation is key. 2. Manage your cravings and understand your triggers. 3. Ask for support from family, friends, co-workers and other important people in your life. Emory also offers support, resources and tools to help those who want to give up tobacco, from webinars and counseling to free medications. Students interested in tobacco cessation should reach out to Willie Bannister, LPC, associate director, substance abuse risk reduction, at wbannis@emory.edu or by calling 404-727-0395.